It took me months to get a grasp on how competitions were organized, so I’m going to try to break it down here for anyone that feels like their head is spinning from trying to keep it all straight. I’m still figuring some things out, but I can give you the jist. Literally, pro-am is short for professional-amateur. In pro-am ballroom competition, you have a teacher (the professional) dancing with their student (the amateur). The student can be the male or female. The pair dances against other teacher-student pairs in the same style, age category, and skill level, and the students are the ones being judged. Typically, male students will only compete against other male students, and the same with female students, though sometimes they are combined. In one competition, a teacher will often be dancing with multiple students, but not in all of the same categories (you can’t dance with two students at once!). When you are watching a competition, you may see people on the dancefloor who aren’t actually competing against one another. If only one or two people entered a specific category/dance, such as full bronze waltz A (A, B and C are the age groups), to save time, the competition may have them go out to dance at the same time as full bronze waltz B. You could have three couples on the floor dancing in three different categories. So if you are watching a competition and wonder why you are seeing drastically different age groups or skill levels on the floor, you may be seeing multiple categories dancing at once. There are four styles: international latin, international ballroom (a.k.a. standard), American rhythm, and American smooth. The skill levels are, from lowest to highest, bronze, silver, and gold. 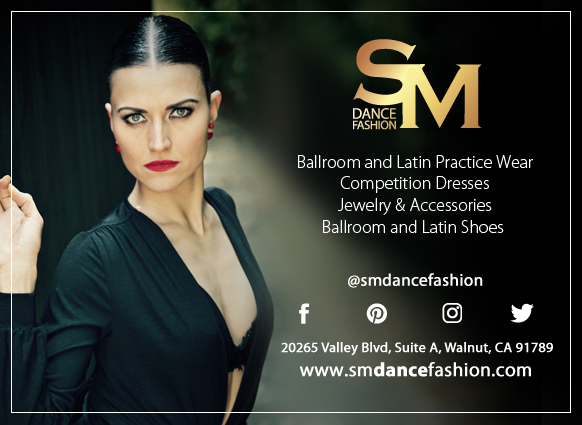 You can also compete in an “open” skill category, in which you are not restricted to specific steps or patterns and are permitted to add more styling and flair to your dancing. The skill levels are subdivided further, including pre, intermediate, and full, based on the steps and technique you’re expected to learn as you progress in your dancing. For example, someone competing in full bronze would be expected to know more than someone competing in pre-bronze. There is also a newcomer level below pre-bronze for those just getting their feet wet. You can move up to a higher level whenever you want (i.e. bronze to silver), but once you do, you can’t go back down. Some people will just stay in bronze. Others move up to silver in their first year of dancing. Or even skip it and start competing in open. Every person is different. I once heard the bronze and silver levels described like elementary school and high school. There are a lot more years of elementary school because there is a lot more to learn. The foundation of your education has to be bigger in order to support whatever is built on top of it. Therefore, you wouldn’t (or shouldn’t) move up into the higher levels like silver until you have mastered all of the basics that bronze covers.